by JON LAFAYETTE. Published by BROADCASTING & CABLE on 25 Jan. 2019. A new study by two units of giant media buyer IPG Mediabrands takes a closer look at the growing number of consumers who watch little or no traditional linear TV and finds that many of them are older and more affluent than previously thought. The report, from Magna and IPG Media Lab, is entitled “Reaching the ‘Un-Reachable.’” It states that the need to connect with these consumers is more urgent than previously thought, and that a key way is through, non-linear forms of video. Magna has been relatively aggressive about moving its clients marketing dollars from traditional TV to online video platforms including YouTube. Kara Manatt, senior VP, intelligence solutions & strategy for Magna Global, says the new study validates the decision to shift dollars to digital video. What can linear TV networks do to stanch the flow of marketing dollars to online video? Technology has reshaped the way people watch TV. “The reason we wanted to do this study is because there were a whole bunch of assumptions about people who are not watching linear TV or just watching a little bit of linear TV that was probably based in some truth a long time ago, but because things are changing so quickly, people have just held on to some of those assumptions and they’re no longer true,” Manatt said. One of the report’s key findings is that viewers no longer differentiate between traditional linear networks and online video. For the most part, consumer consider almost any form of video to be television. Even with short-form video, 71% of those surveyed believed that was television. While that’s how video is increasingly consumed, it’s not the way it is bought and sold, so Mediabrands had to come up with a definition, so it called shows on broadcast and cable linear and everything else non-linear. With that definition, the study segmented consumers into non-linear viewers (15%), light linear viewers (29%), moderate linear viewers (28%) and heavy linear viewers (28%). Mediabrands says the study shatters the myth that those shifting away from linear TV are mostly the young, without purchasing power. The study found that half of light linear TV viewers and 40% of non-linear TV viewers are generation X (age 38 to 53) or older. The light linear viewers had the highest proportion of households with incomes of $100,000 or more. According to the study, consumers weren’t leaving traditional pay-TV just because of the cost. Some of those cutting the cord had very high incomes, making it unlikely that the price tag alone was the reason for the decision. The study also looked at why consumer were turning the Netflix and YouTube. Netflix was seen as a good value and its subscribers said it has shows it can’t get elsewhere. Only 11% cited the lack of commercials as the reason why they watched Netflix. Another key finding was that non-linear TV viewers, light linear TV viewer and moderate linear TV viewers all spend roughly the same number of hours per week with media. Heavy linear TV viewers consumed upwards of 50% more media than the other groups. When it comes to video, those who don’t watch linear TV, watch just as much as those who do watch linear TV–they’re just watching more digital video. According to the survey those who don’t watch linear TV like ads that tell a good story, ads that don’t interfere with their TV experience, short ads and entertaining ads. Mediabrands found that those shorter ads are effective with non-linear TV viewers. “The so-called ‘unreachable” can be reached through digital video. We know they are still watching video–it’s just streamed,” the report concludes. By KELSEY SUTTON. Published by ADWEEK on October 24, 2018. The study’s intent was to measure the quantifiable effects brand safety incidents have on consumer sentiment. Consumers are nearly three times less willing to associate with a brand that advertises alongside unsavory, inappropriate or offensive video content—and they tend to assume that ad placements alongside such video content are intentional, according to a new study that aimed to quantify the impact of brand safety incidents on consumer sentiment. IPG Mediabrands’ research arm IPG Media Lab and cyber security brand safety company CHEQ conducted the study, which found that even content that clashed with the brand or its vertical could cause consumers to think less of the brand’s reputation, quality and trustworthiness. Consumers were seven times less likely to consider the brand to be high-quality, slightly less likely to recommend a brand and more than four times less likely to feel like the brand cared about them after viewing the brand’s video ads before inappropriate video content. It’s no secret that brand safety incidents—in which advertisers’ ad content appears alongside unsavory, inappropriate or offensive content—are on the rise. Every few months, new reports reveal major brands have had their video advertisements run on everything from fake health information to extremist content. The study’s intent was to measure the quantifiable effects brand safety incidents have on consumer sentiment so executives can understand the cost of a brand safety incident at their company, said Guy Tytunovich, founder and CEO of CHEQ. Joshua Lowcock, the chief digital officer and global brand safety officer at UM, said the study underscores that the risk of brand safety incidents extend beyond bad press and business squabbles. The study relied on a nationally representative online panel of more than 2,300 computer and smartphone users, half of whom were shown pre-roll video advertisements for BMW and Hulu before viewing different types of video content on desktop and mobile environments. 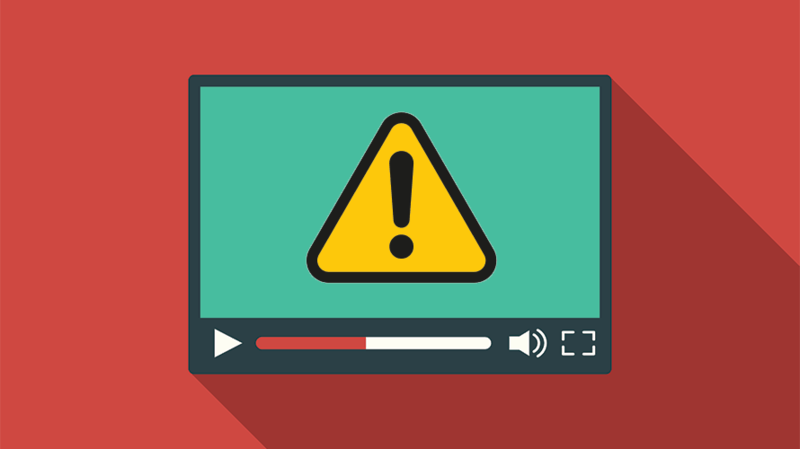 That content ranged from videos considered by most brands to be safe, like a clip from a talk show, to unsafe content, like a video about a school shooting. Consumers were also shown ads alongside brand-averse content, like a BMW ad that played before a video about a car accident involving a BMW vehicle, and vertical-averse content, like an ad for Hulu that played before a video that discussed the dangers of binge-watching television. Tytunovich said most of the survey respondents provided written responses after viewing the content indicating that they were disturbed and upset that advertisers had generated revenue from inappropriate content. Some respondents said they believed advertisers were endorsing the offending content. Tytunovich said he was surprised by the emotional responses from the consumers, but said that the results underscored the seriousness with which brand leaders should take brand safety issues. CHEQ, it should be said, stands to benefit from survey results like this, as it provides brand safety tools to brands. Daniel Avital, CHEQ’s chief strategy officer, said the results highlight the importance of the values a brand espouses. Lowcock said it’s not just advertisers who should care about the consequences of brand safety. Publishers have a responsibility to make sure that some types of content aren’t monetized at all, he stressed. Despite big budgets and high viewership on TV, measurement of brand KPIs is still evolving. The challenge with existing brand lift methods is that they often rely on opportunity-to-see (OTS), which is a survey based method for determining the likelihood that someone saw a particular ad, with no evidence that they actually saw it. To push the industry forward on measurement, the media trials team partnered with Roku to use their ACR (automatic content recognition) to identify the exact programs and ads viewers have used and when they viewed them. The new study “Under the Hood of Over-the-Top Measurement,” revealed video ads on the OTT platform are 1.6X more effective per exposure at driving purchase intent than ads on broadcast and cable television. The Hispanic audience is currently underserved by media and advertising; when polled, 61% of Hispanics say Total Market Ads fail to resonate with them. In search of solutions, MAGNA, IPG Media Lab, and NBCUniversal collaborated to investigate the impact of cultural specificity on Hispanic audiences. We tested both Total Market Ads, intended for a broad audience, and CultureFirst Ads, tailored to a cultural identity, to find that CultureFirst Ads establish an emotional connection and increase conversions. With 74% of Hispanics reporting that culture impacts who they are today (as opposed to only 42% of non-Hispanics), culture is integral to the Hispanic identity and elicits a strong emotional response. Culturally specific and accurate cues in advertising deliver a positive brand perception, which in turn influences purchase intent and inspires brand loyalty. CultureFirst advertising is now a proven way to access an audience often neglected by Total Market campaigns.